The form field allowing to select a file from the Media Library. 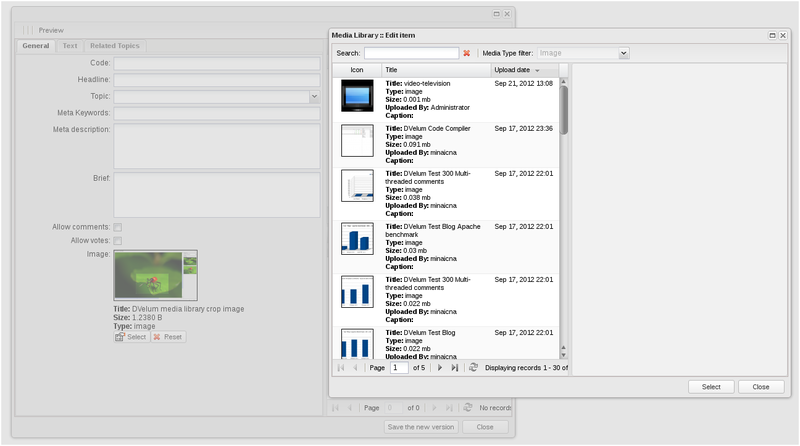 Clicking the ‘Select’ button opens the window allowing to select a file from the Media Library. The ’Reset’ button cancels the selection. linkName string - the field name used when sending the form (the Media Library object identifier is sent).